We love grilling during the spring and summer at our house so finding some great grilling products is always a mission at our house. We love these grill mats from 1 Easylife. I have been working really hard at eating healthier so I’ve been grilling a lot of veggies on the grill. Sometimes it’s really hard to keep the veggies on the grill though so these grill mats really help. You can put them right over the grill grate and then cook anything you want on them. That way the food won’t slip through the grill grates and fall into the fire. We love how easy it makes grilling our favorite foods. It really makes cooking on the grill easier and more versatile. They are made of a great material that’s durable and doesn’t tear or rip. You can also easily wipe them off. They are dishwasher safe or you can just wipe them down with soapy water. Very easy to use and maintain. It also comes with a great basting brush as well, great for bread on BBQ sauce!! ★ 2 YEAR WARRANTY, FREE LIFETIME GUARANTEE AND BONUS – These fantastic grill mats come with 2 years warranty for all the buyers. 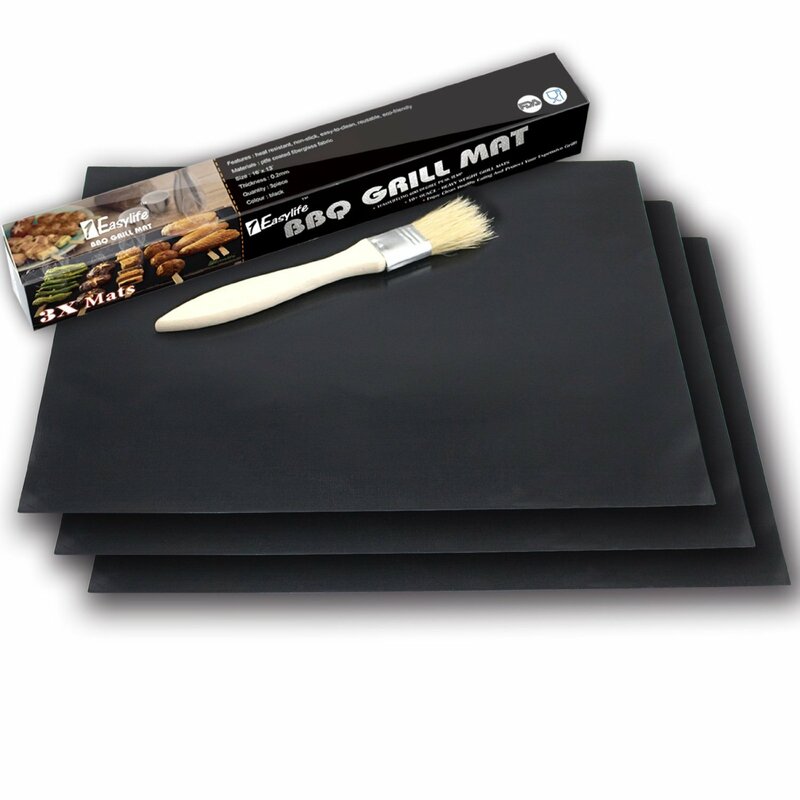 Not only that, now for every purchase of 1Easylife grill mats you will receive an bonus of wood-handle pastry / basting brush ! You can purchase these grill mats on Amazon! I would like to get some grill mats. They would make for easier clean up thats for sure.